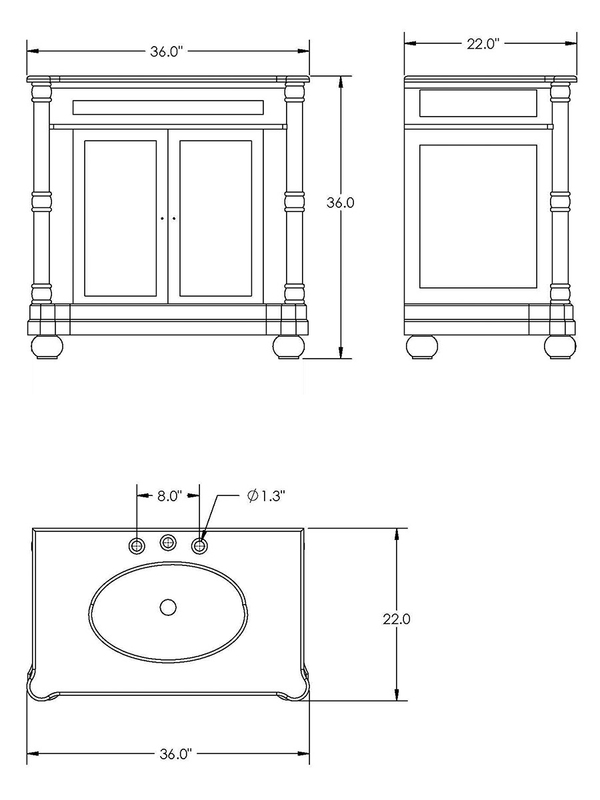 The Rutland Single Bath Vanity features chamfered panels, relief carvings and decorative posts, creating a fantastic antique look with a lot of classic charm. 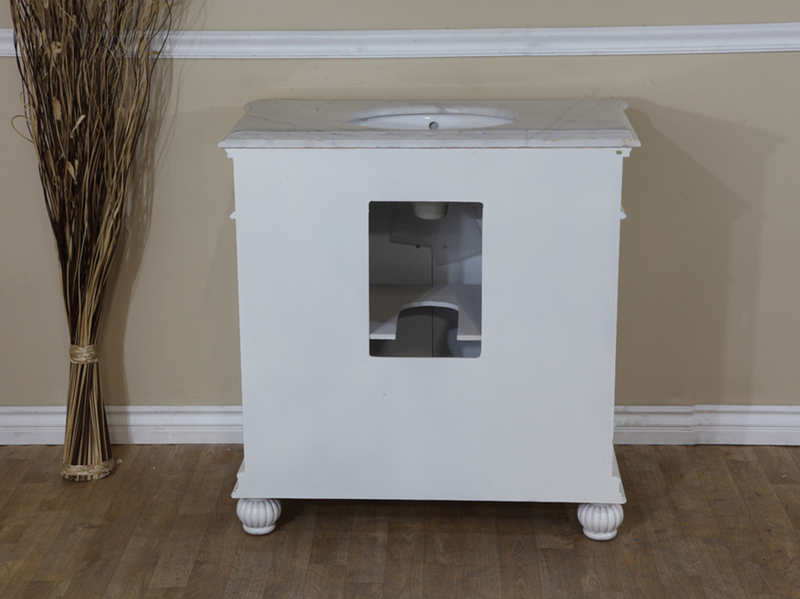 The pristine white finish and beautiful white marble counter top gives the vanity a refreshing look that is sure to brighten up any bathroom. 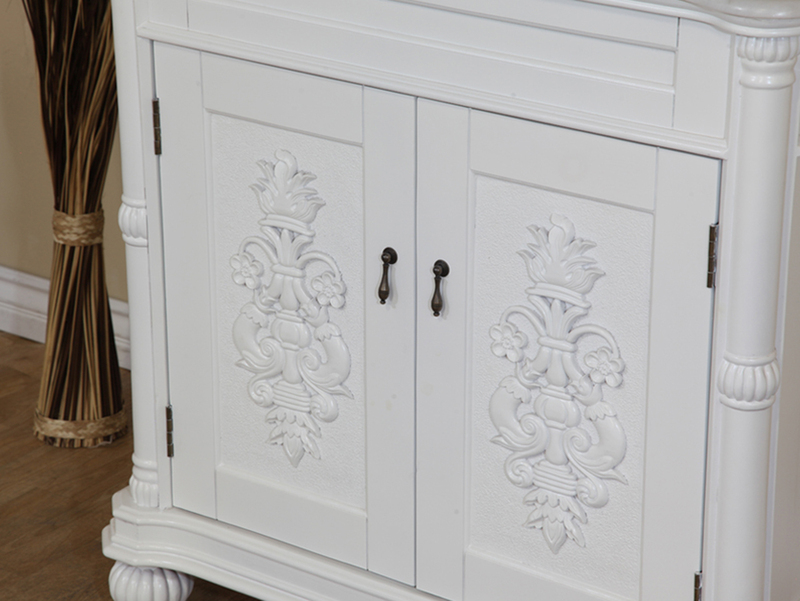 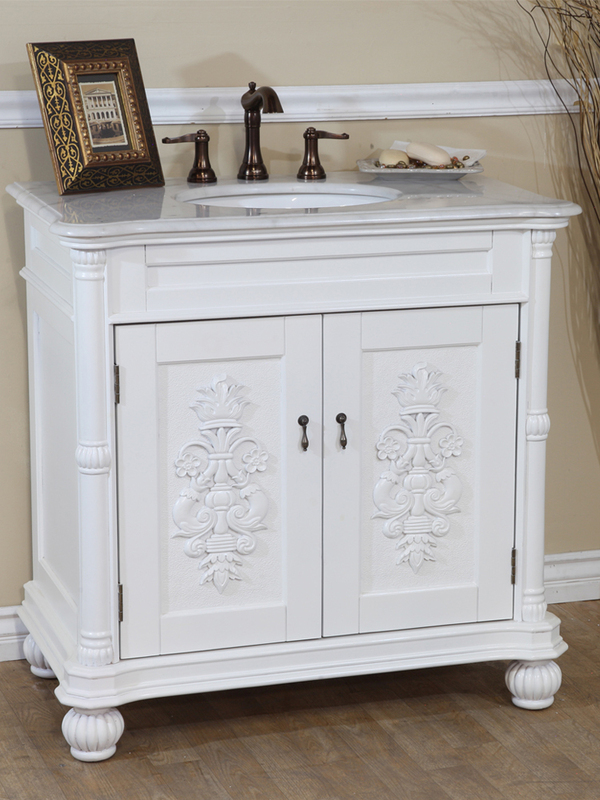 Its single cabinet with antique brass hardware is divided into two storage spaces via an interior shelf; great for storing bathroom supplies and accessories. 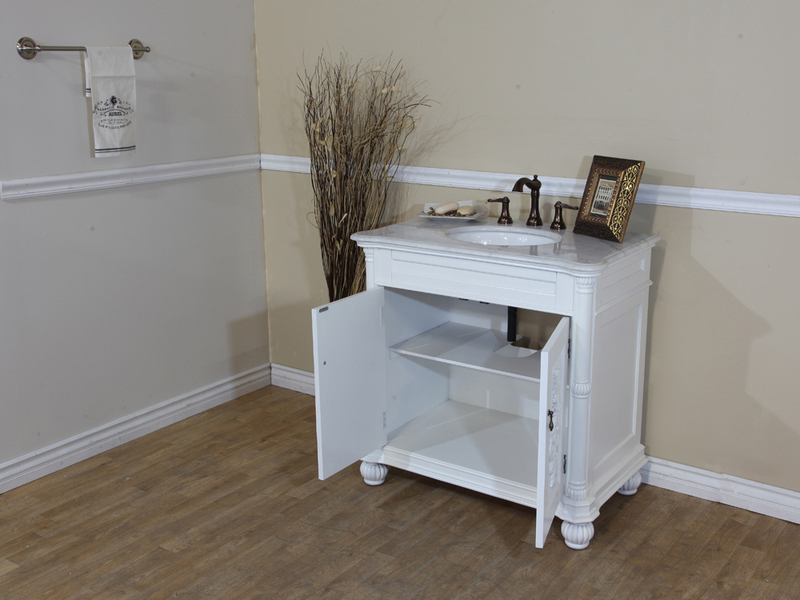 The water proof finish protects the wooden vanity from warp and damage caused by humidity, preserving its great looks. 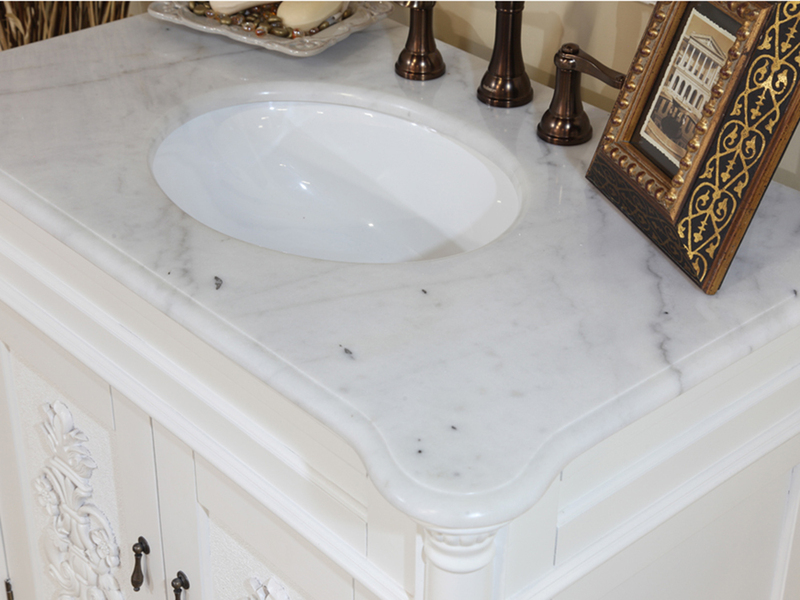 Optionally, a white marble backsplash is available for this vanity through the drop down menu.